31293 passes Abbotswood on 6 July 1985 with the 12:55 York to Swansea relief. 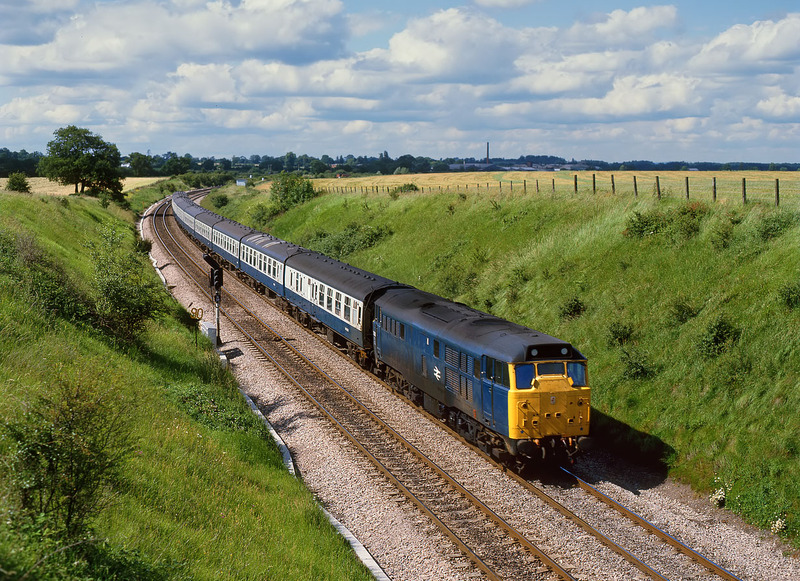 Not only is the sight of a Class 31 on a rake of blue and grey Mk 1 coaches now a thing of the past, but also the provision of relief services to cope with unexpected seasonal demand is also something that today's railway is ill-equipped to provide. It didn't really help much in this case however, as the 31 failed at Miskin. It was probably tempting fate by only using one anyway!